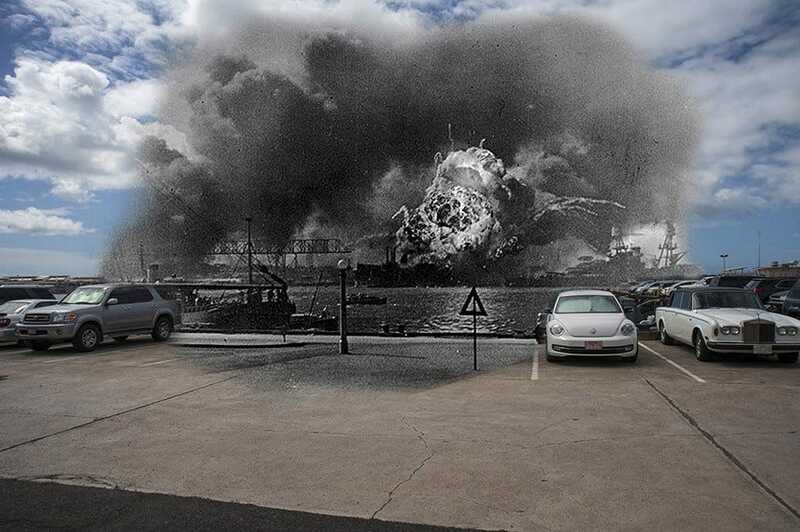 U.S. Navy photo illustration by Mass Communication Specialist 3rd Class Diana QuinlanThe Mahan-class destroyer USS Shaw explodes in the background after the attack on Pearl Harbour. 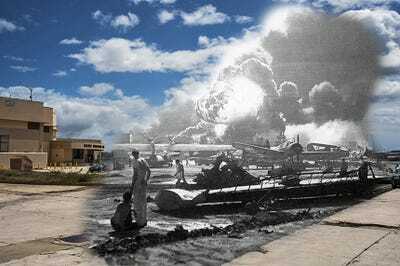 On December 7, 1941, the US naval fleet stationed at Pearl Harbour, Hawaii, suffered a devastating attack from the air and sea. 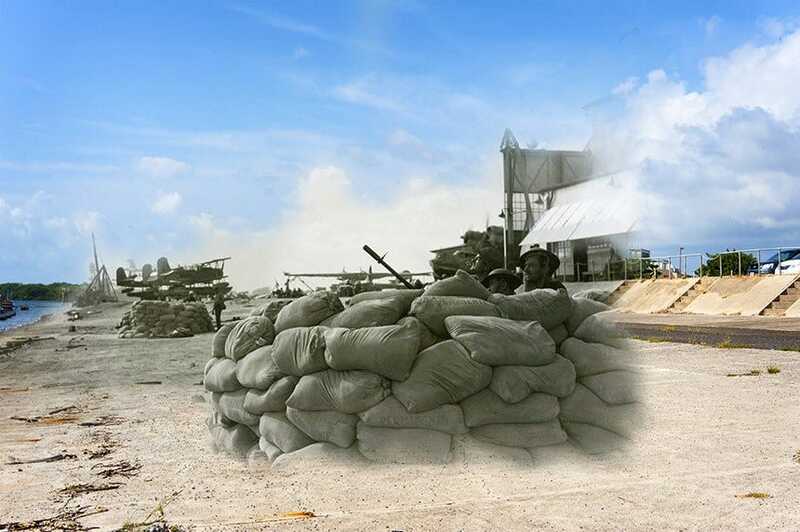 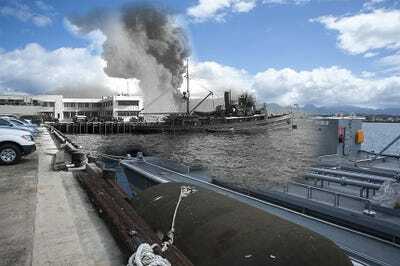 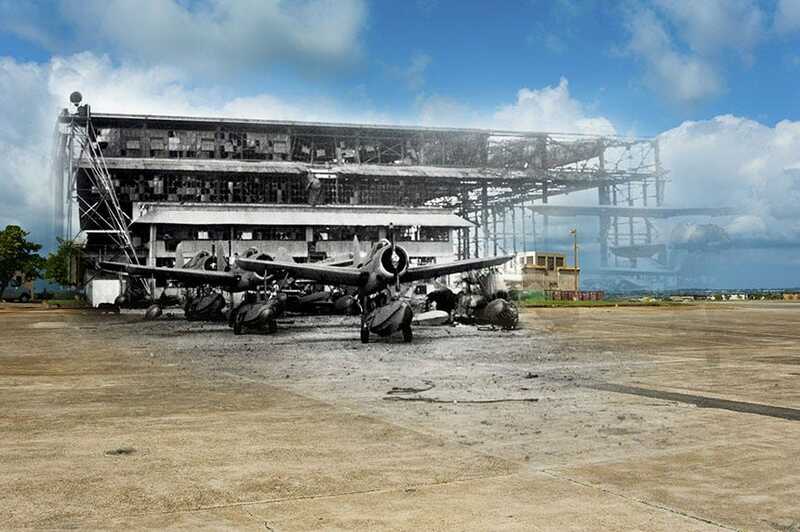 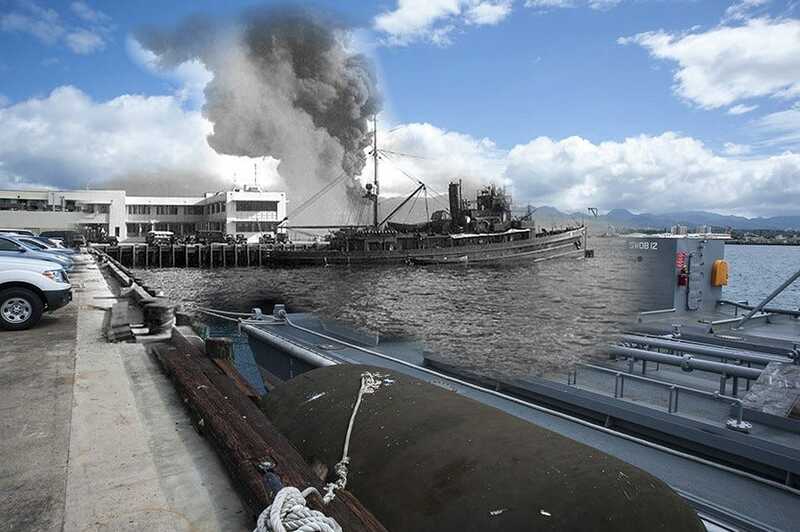 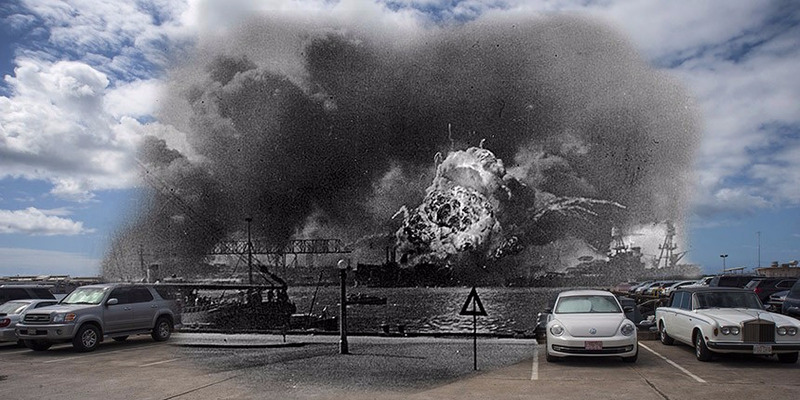 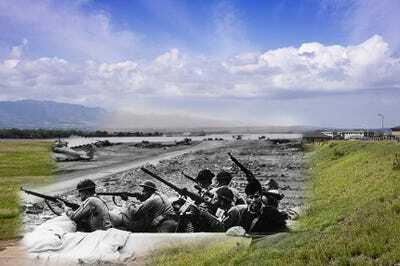 Now, 77 years after the attack, here’s what Pearl Harbour looked like then and now. Defenders on Ford Island watch for planes during the surprise attack on Pearl Harbour. 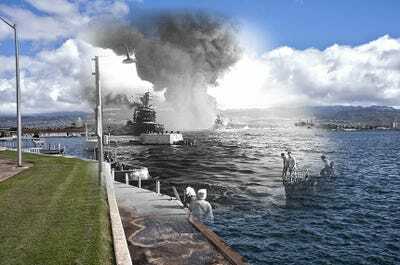 The battleship USS California burns in the foreground as the battleship USS Arizona burns in the background after the attack on Pearl Harbour. 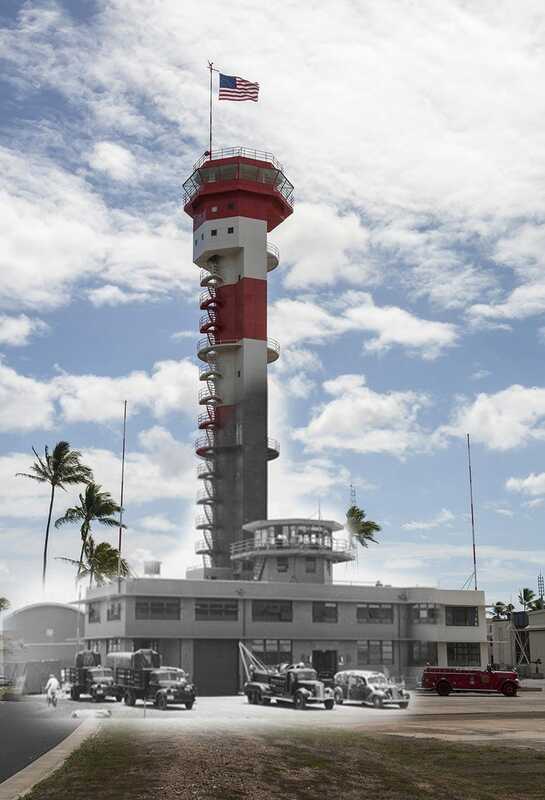 A view of the historic Ford Island control tower from 1941. The tower was once used to guide aeroplanes at the airfield on the island. It is now an aviation library.